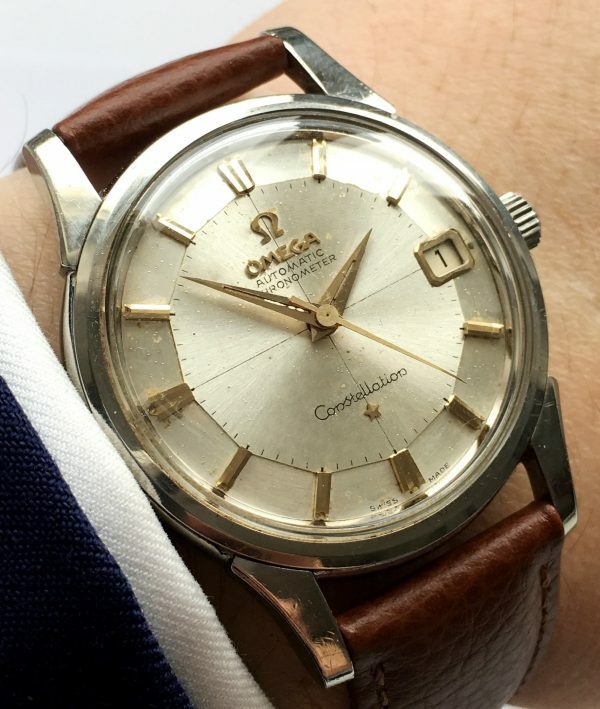 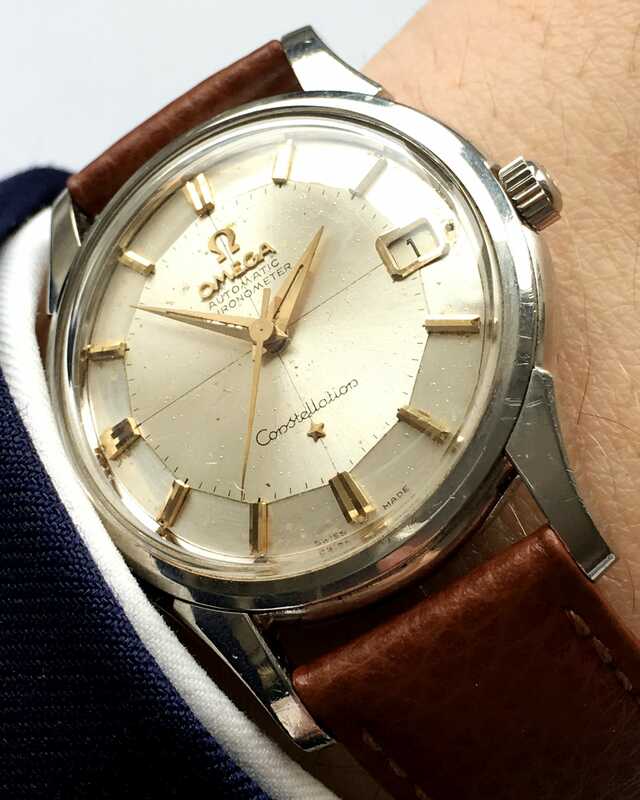 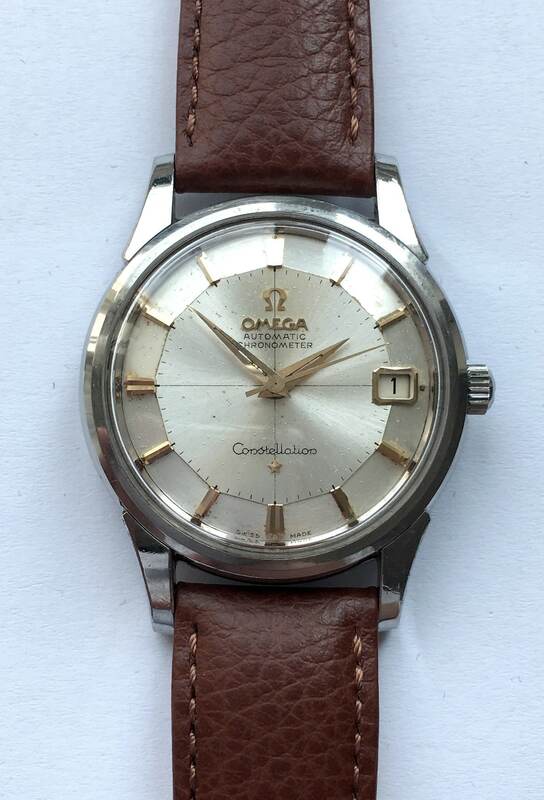 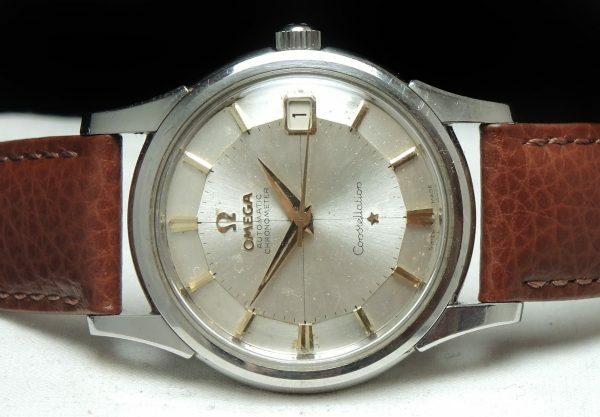 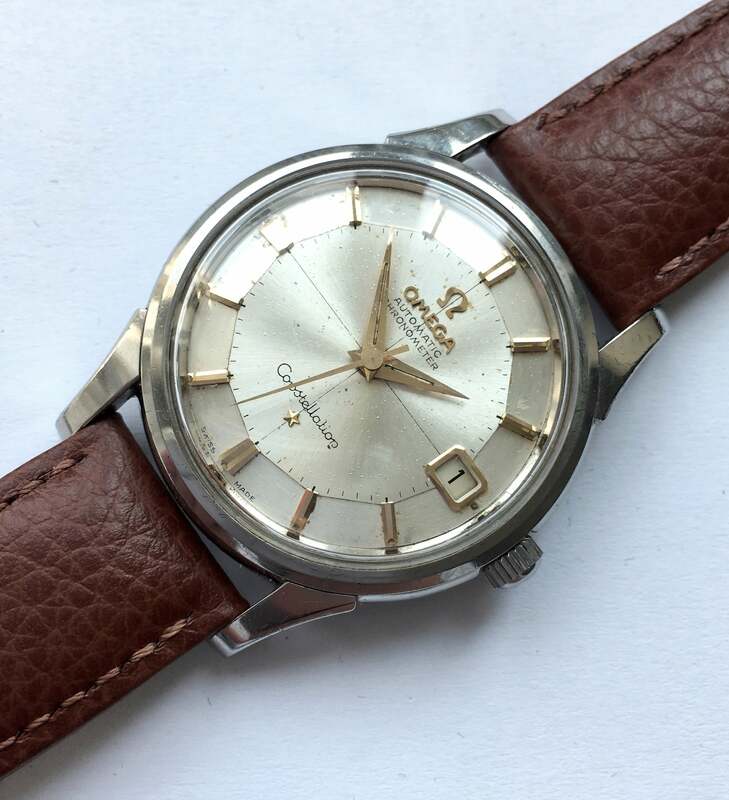 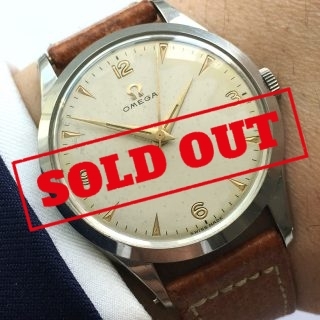 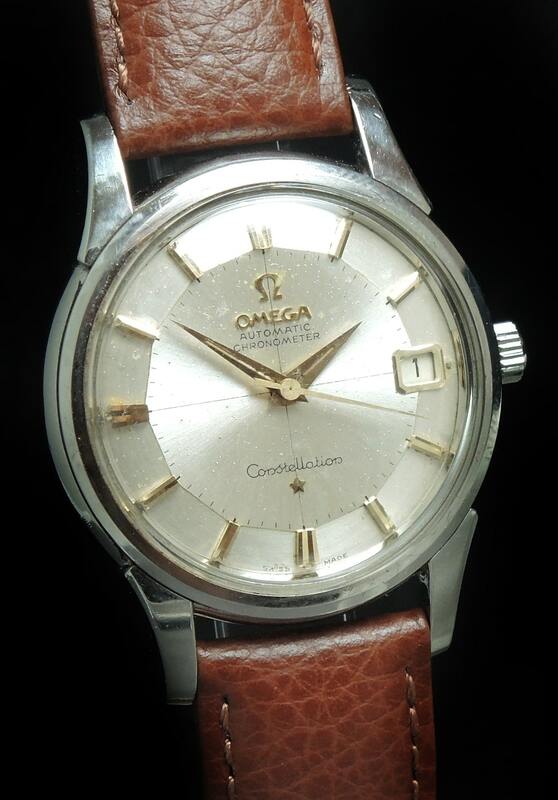 Beautiful stainless steel Omega Constellation with a lightly patinaed silver sunburst Pie Pan dial and applied gold indices. 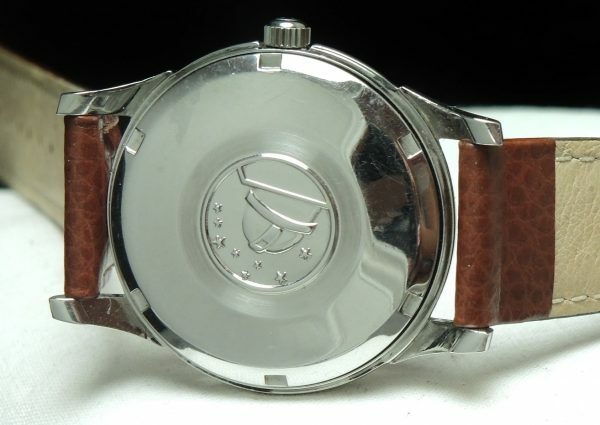 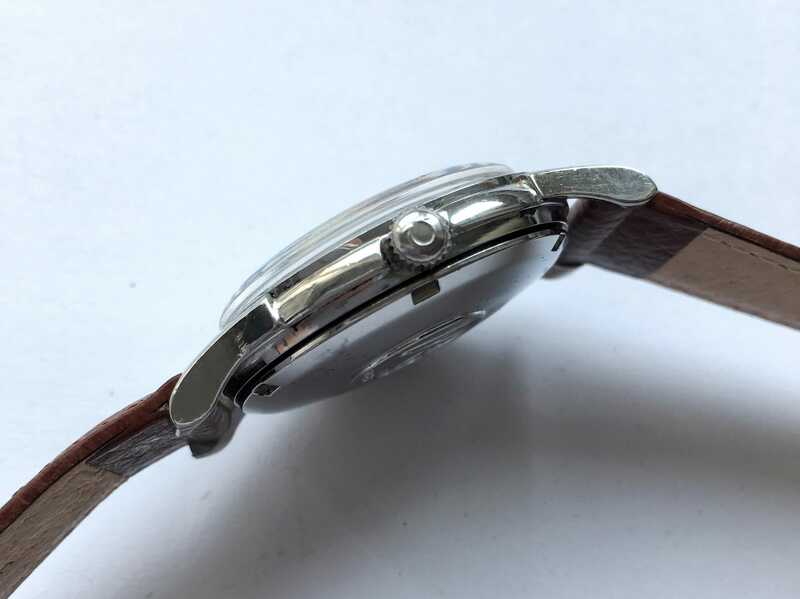 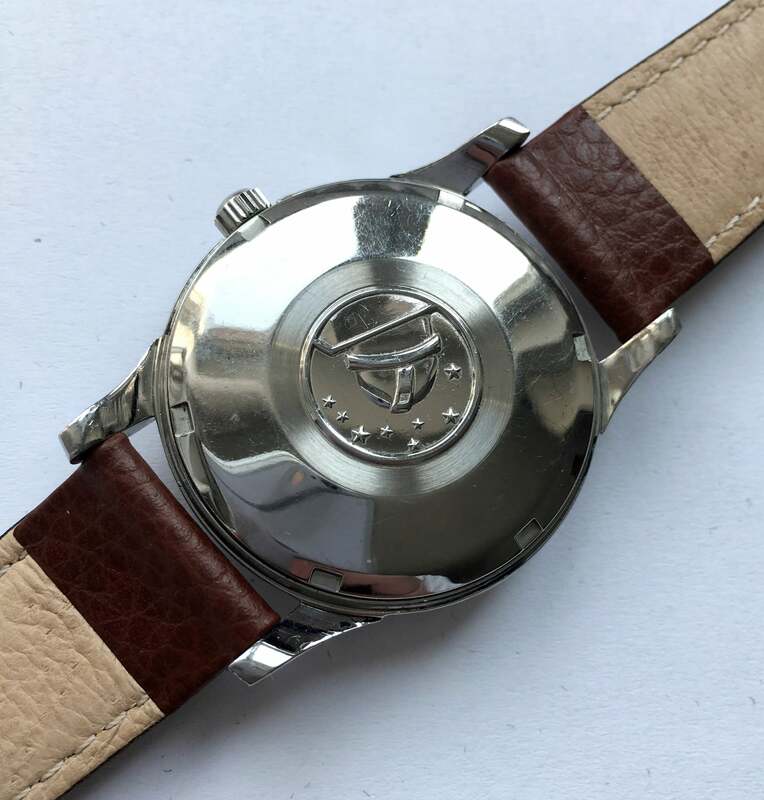 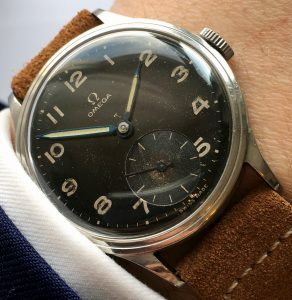 The case is immaculate, showing close to no signs of wear and the caseback Observatory engraving is very clearly defined. 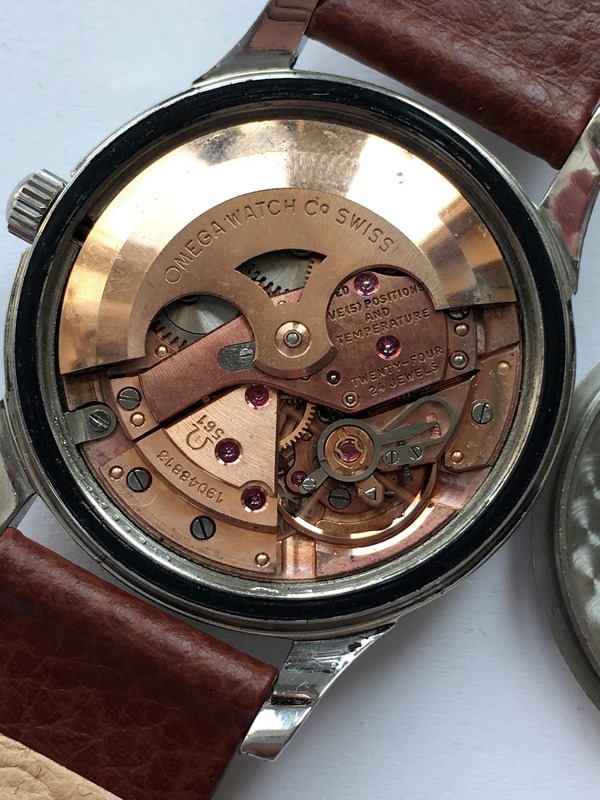 The lugs are full and retain their original bevels. 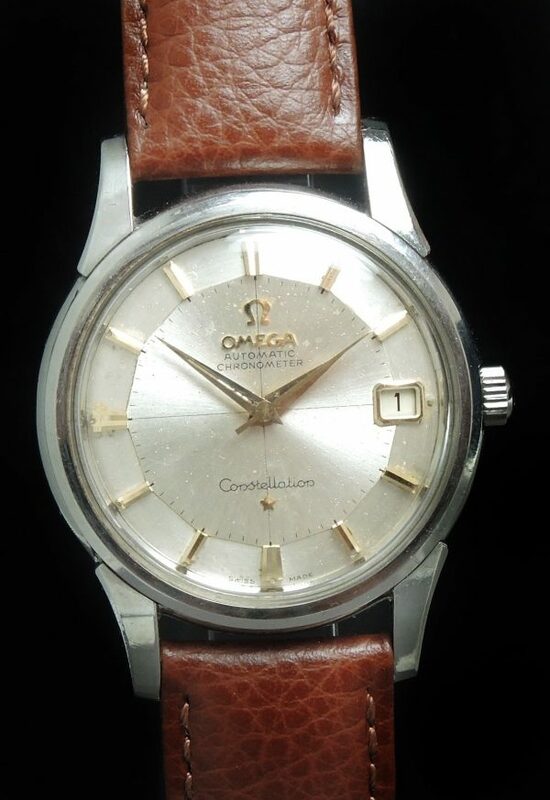 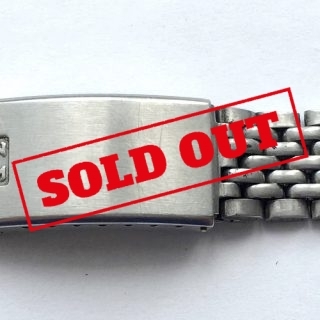 The engraved Omega logo in the crystal is barely visible to the naked eye. 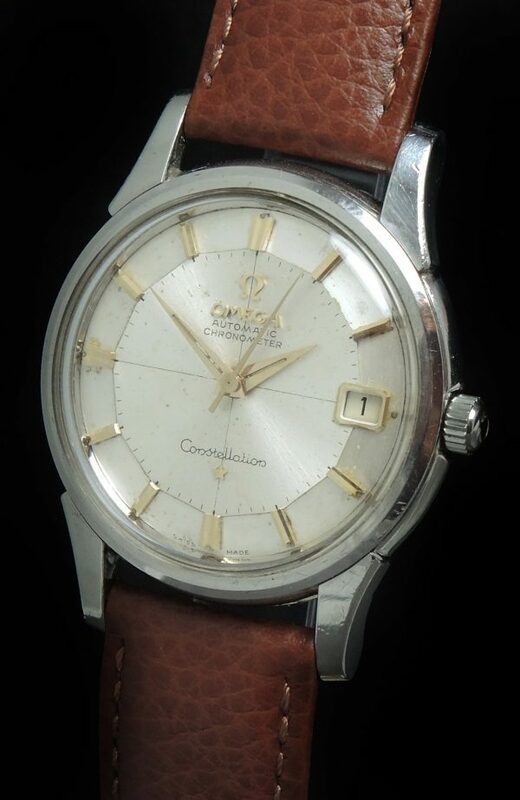 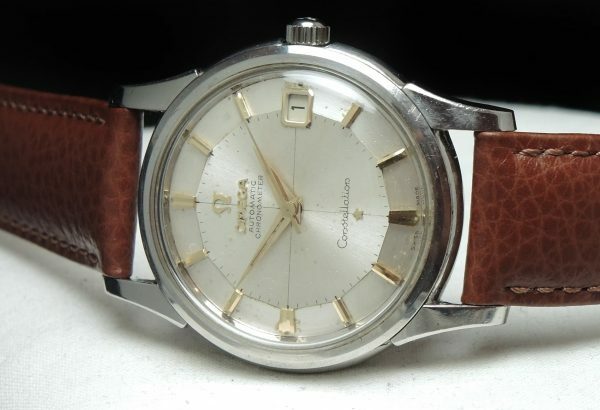 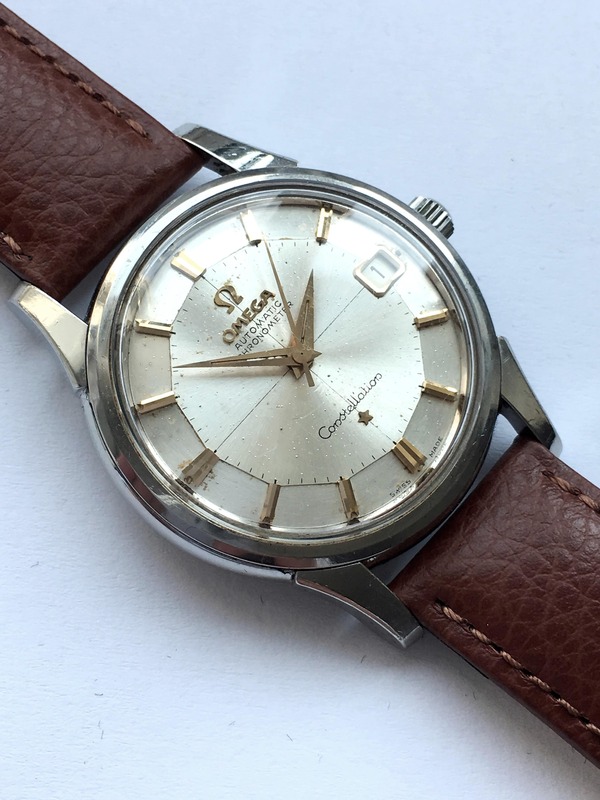 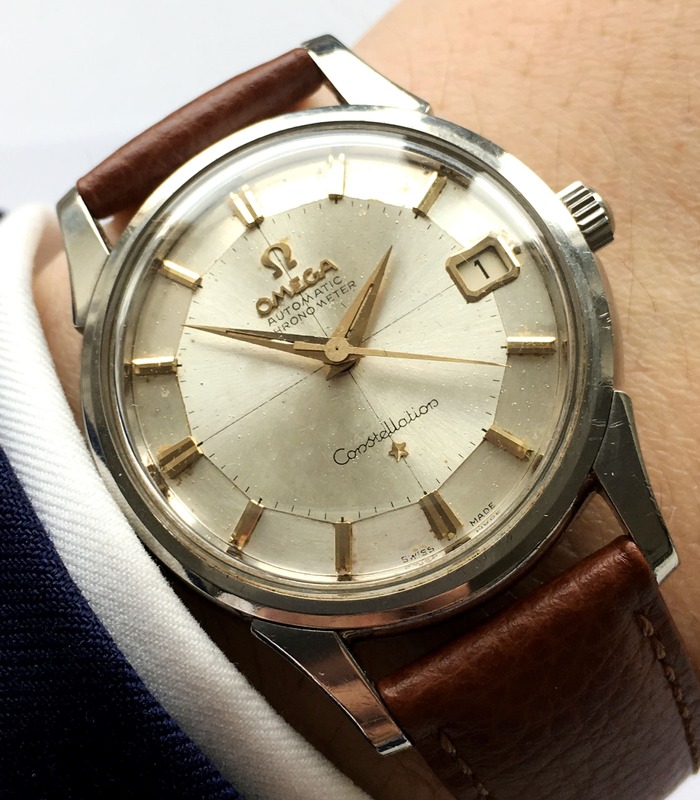 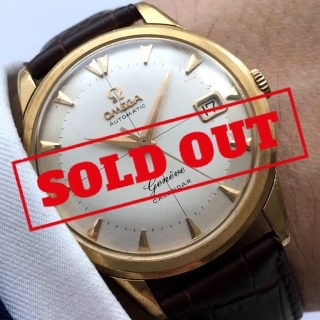 Wunderschöne Omega Constellation mit cremefarbenem, leicht patinierten Pie Pan Originalziffernblatt und goldfarbenen Indizen. 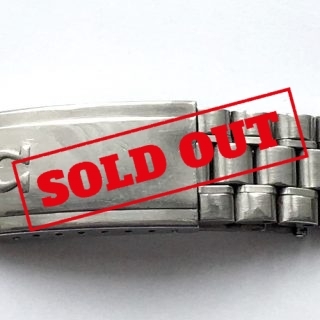 Das Gehäuse ist tadellos und weist minimale Gebrauchsspuren nach – dürfte also unpoliert sein. 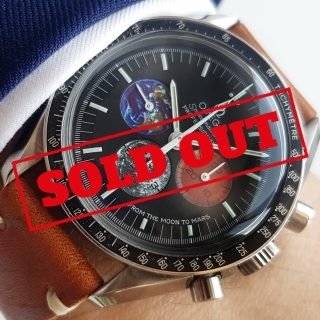 Das Sternwartelogo am Deckel ist noch deutlich ersichtlich. 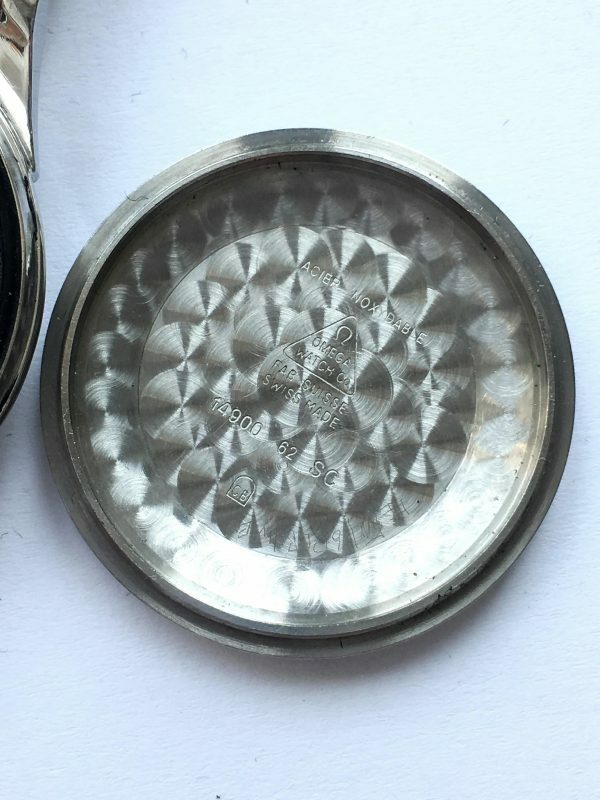 Originalglas mit für das bloße Auge kaum sichtbarem Omega Logo.